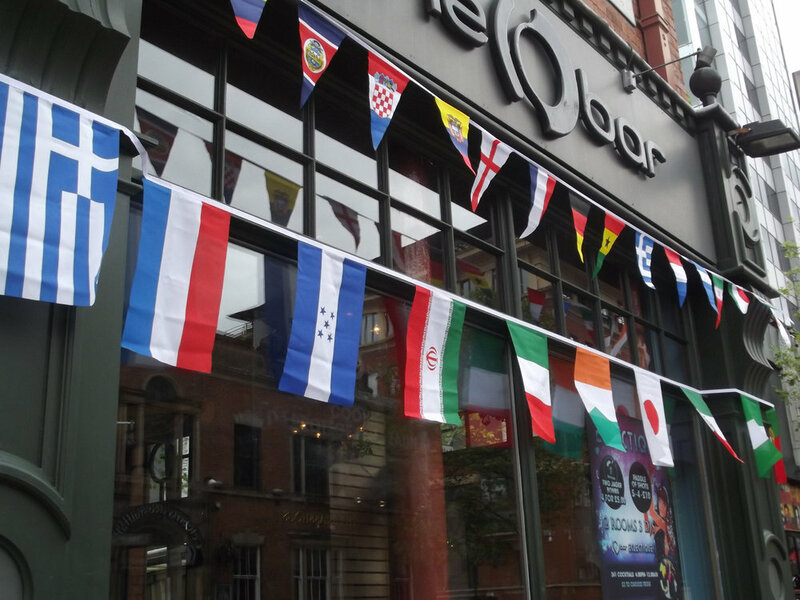 Every four years, World Cup fans join together in the spirit of international competition. On this week's show, we raise a glass to intercontinental camaraderie by tasting five exotic spirits produced across the globe. We begin our celebration the way they do in China, with a baijiu toast. American expat Derek Sandhaus introduces us to this ancient Chinese liquor, which has recently gained popularity in the West. Then we'll hear about a popular herbal digestive in the Czech Republic: Becherovka. Brand ambassador George Nemec joins us to talk about how the beverage is made and how it's used in his homeland. Next, Count Eduardo Branca tells us the story of Fernet Branca. His family's distillery, Fratelli Branca, was established in 1845 -- but before it was sold as a spirit, it was used as a cure-all to treat cholera. We also take a virtual trip to Peru to meet celebrity distiller Johnny Schuler, who tells the legend of pisco and his distillery, Pisco Porton. This Peruvian brandy dates back to the conquistadors of 16th century Cuzco. Finally, we catch up with Jesse Falowitz, an American distiller living in Japan. Jesse is the founder of Mizu Shochu. He recalls how he and his Japanese counterparts rediscovered an ancient liqueur called shochu, which is now entering a modern market.